Space Egg Mold Make Rocket and Astronaut Pancake Eggs Nonstick Mold Ring for Stunning Breakfasts Every Time (Rocket) by L&S at Mystic Oaks. Hurry! Limited time offer. Offer valid only while supplies last. Space egg mold set of 2 pieces in 2 different unique shapes, made of food grade silicone. 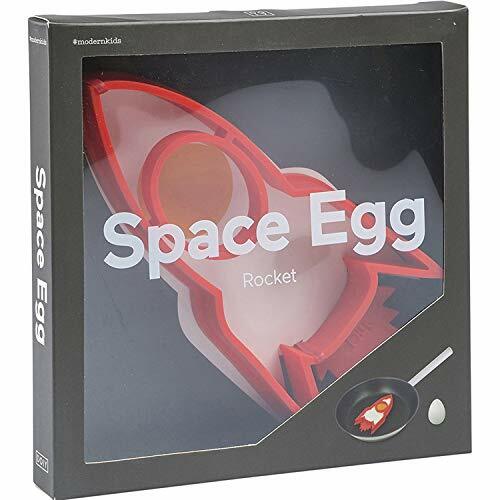 Space egg mold have Rocket and Astronaut Shaped Fried Eggs For Kids. Can be reused, easy to clean and flexible for storage. Ideal for making pancakes, crumpets or fried. Perfect for egg muffins, mini pancakes, small omelettes, poached eggs, burgers & more! Creative personalized design, new and interesting, you can DIY your breakfast life, you can also make the baby's breakfast more fun and fun, from then on the baby is not anorexia. If you have any questions about this product by L&S, contact us by completing and submitting the form below. If you are looking for a specif part number, please include it with your message.